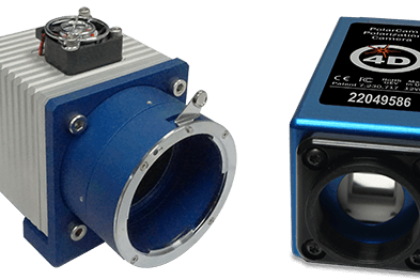 4D Technology has introduced a new line of polarization cameras for image enhancement, stress measurement, polarimetry and other applications. The PolarCam™ snapshot micropolarizer camera simultaneously captures four polarization states in each video frame, enabling a range of image enhancement techniques and polarimetric measurements. 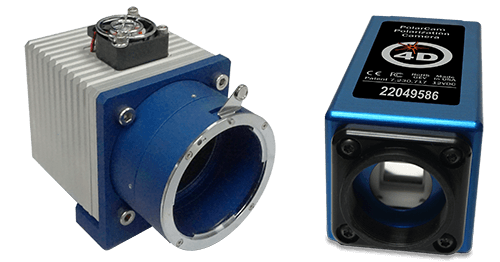 Compact, fast and field-proven, these unique cameras serve applications in process control, medical imaging, remote sensing and more. The new PolarCam models utilize CMOS technology sensors, enabling up to 164 frames/second imaging rate at 1700 x 1200 pixel resolution. A high resolution model captures 3.8MP frames for detailed analysis of polarization even in fast-changing scenes. Customizable regions of interest make it possible to process a subset of the acquired pixels, resulting in frame rates in the kilohertz range. Optional PolarView™ software provides real-time display and calculation of key polarization parameters, including Degree and Angle of Linear Polarization, S0, S1 and S2 Stokes parameters, and an Enhanced Polarization Image. Use the many included tools to process and analyze the data, then save images and movies of any parameter to disk for comprehensive analysis. A Software Development Kit is also available for custom analysis. For Further information please visit www.4dtechnology.com/polarcam.